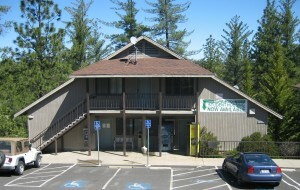 California Student Housing is located on the campus of Columbia Community College, and is within walking distance of all classes. California Student Housing (CSH) consists of 48 apartments in four, three-story buildings located within easy walking distance of all Columbia Community College classrooms and facilities. The campus is in immediate proximity to the town of Sonora, one of the fabled communities established during the California Gold Rush of 1849 — and one of the minority of such settlements to survive and thrive when the rush played itself out after a few years. CSH is independently operated in a contractual relationship with Columbia College. CSH is meticulously managed, maintained and kept at peak livability for its residents by the California Student Housing, LLC. The owner’s management team has over 10 years experience managing CSH and is ably assisted by a resident security officer and full time maintenance contractor. Our team insures that every resident has a well-maintained, safe and secure environment to pursue his or her educational goals. Please call to schedule a tour or just drop by. For more information, see the FAQ and Contact Us pages further on in this website.